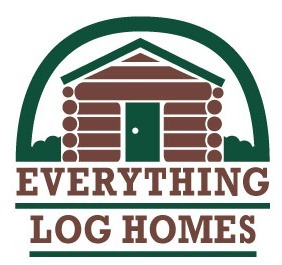 We are Steve and Linda Brinser and we’re the webmasters of this website, Everything Log Homes. Privacy is important to us when we visit other people’s websites, so we understand how important privacy is. The information you share with us is as important to us as it is to you. We have taken steps under the General Data Protection Regulation (GDPR) to make sure any information you give us is secure, only seen by people who need to see it, and within your control. We maintain the highest standards of honesty and fairness in everything we write for this Everything Log Homes, and I apply exactly the same standards when I deal with the information you trust me with. send information which you agree to receive about topics I think will interest you. We never collect personally identifiable information (that is, information which may identify you such as your name or email address) without your knowledge. If we ask for personal information it’s because you have volunteered to give it to us, for example if you sign up for our newsletter or get in touch through our Contact page. When you contact us for any reason, using one of our contact forms, you agree to give us your name and email address so we can reply to you. As soon as our correspondence has finished, we delete all your personal information. We do not keep it or use it in any other way unless we ask your permission first. When you sign up for our newsletter, we collect your name and email address so that we can send you newsletters, as explained in our newsletter information. We keep that information for as long as you want to receive our newsletters. There is always an “unsubscribe” link in every newsletter and email we send. If you click on that link, you will be immediately unsubscribed from our emails and your information will be permanently deleted. If you give us personal information, we guarantee 100% that the information will be used only for the reason you’ve shared it. We hate spam. We will never send you any information you have not requested. Even if you opt to receive information (like the newsletter) when you sign up, you will always be able to unsubscribe from it. We will make clear exactly how you can stop receiving it both in newsletters and in any correspondence we may have. We will never share your personal information to anyone for commercial or any other use. It will be used only for the purpose you provided it on this website. Sometimes, though, for specific reasons, we may need to share your information with someone else. We make sure we only use other individuals and companies we know and trust. We have also been careful to make sure they are compliant with the General Data Protection Regulation, so we am confident they will also keep your data safe. When you sign up for our newsletter, a well-respected company called Mailchimp stores your name and email address securely, so that we can contact you. Europe’s General Data Protection Regulation (GDPR) was introduced specifically to protect the data of individuals. Although at present it only protects people in Europe, our view is that its extremely high standards should be used to protect everyone, worldwide. We value everyone who visits this website, wherever you may come from. Which is why all our policies and practices (not just those which impact Europeans), follow GDPR’s requirements. If you think your personal information is not being used properly and you want to make a complaint, you should first contact us and ask us to correct whatever is wrong, explaining the problem as clearly as you can. If you’re not satisfied with our response, you have every right to lodge a formal complaint. The best way to do this is to contact a lawyer and say you want to complain under the terms of the GDPR. If you have submitted personal information through our website and would like that information deleted from our records or would like to update or correct that information, or if you have any further questions, please be sure to use our Contact page to talk to us. Personal information, such as your name and email address, is never collected automatically. We only have it when you choose to give it us. However, when you visit Everything Log Homes, some statistical information is collected automatically. The reason we collect it is so that we can constantly improve your experience of visiting our site. This type of information includes the name of your Internet Service Provider, your Internet Protocol address, the name of your internet browser, and other numerical data such as which pages you visited, how many pages you looked at and how long you stayed on the site. This information helps us know which parts of our site our visitors are most interested in. That helps us write articles which focus on the subjects you’re most likely to want to read. Visitor information is collected by means of “cookies”. A cookie is a tiny bit of code placed by this website on your computer. Each time you come here, your browser gives our computer that code so we know that you’ve come back. That helps us know the kinds of articles that are most helpful to you. Google Analytics Cookies: We use a service called Google Analytics to analyze how you use this website. It collects demographic data and information about your interests by means of cookies. The cookies are kept on your computer. The information is shared with Google, which stores the information on its servers and then gives statistical reports to webmasters about their sites. Everything Log Homes uses the information from Google Analytics to track the number of visits to our site and operating systems. No personally identifiable information is obtained from these cookies. If you would rather your data is not collected via Google analytics, you can install its opt-out browser extension by clicking here. If you want to, you can turn cookies off by disabling them in your browser. You can learn how to do this at the About Cookies website. Web beacons are similar. They track your journey around a website, or a collection of websites. They’re most often used to monitor traffic to a site. Disabling either cookies or web beacons should not cause a problem with the continued use of this website, but it may prevent some of its interactive features from working properly.